At Tri-State Business Solutions, you can find all of the iimak ribbons needed to expertly manage your business. A global leader in consumable solutions for industrial and medical applications, iimak products offer high performance and top print quality each and every time, and Tri-State Business Systems is proud to offer a complete line of iimak products. iimak ribbons are designed to provide unbeatable printing quality and performance for nearly any all-purpose marking or imprinting. From standard wax ribbons to resin enhanced wax ribbons and more, iimak is one of the most trusted names in thermal printing products. Since 1983, they have grown into one of the world’s largest manufacturers of thermal transfer ribbons, and their products are a vital component to the labeling and barcoding systems in use at corporations across the globe. iimak high performance wax thermal transfer ribbons can tackle dark images with no show-through. They are easy-to-use, with no printer adjustments required, and can be printed on a wide range of tag and label stocks. iimak standard wax ribbons can handle basic applications with ease. They are an economical, yet reliable, option for those looking for remarkable blackness in their print quality. Ideal for short run prime labels, iimak general purpose wax ribbons are ideal for brand color matching, inventory control, item matching and sorting, and more. Available in 11 process and spot colors, these general purpose wax ribbons are the optimal choice for those utilizing uncoated paper tag and label stocks. In addition, we also offer Zebra wax, wax/resin and resin ribbons. 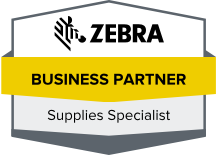 Zebra wax, wax/resin and resin ribbons offer businesses the finest quality thermal printing with products to meet nearly any need. Choose from standard, premium, high-performance, and image lock options depending on your application needs. If you are a business in Bradley Gardens, Neshanic, Millstone, Blackwells Mills, Montgomery or the surrounding regions and need iimak ribbons, Zebra wax, wax/resin or resin ribbons, contact us today. 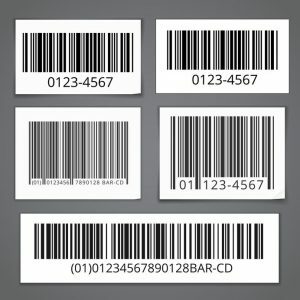 We are the supplier to trust for all of your barcode and labeling system needs.